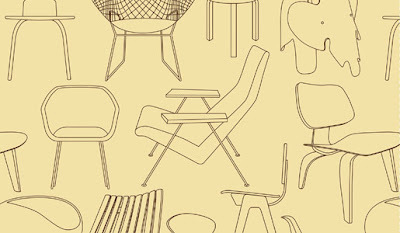 Mini Moderns is a range of wallpapers, fabrics and tablewear, designed and produced by London-based design and branding agency, Absolute Zero Degrees. 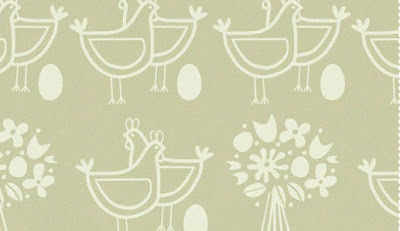 Mini Moderns started out with wallpapers for kids, like this design called Six of One. I rather like this Moo! 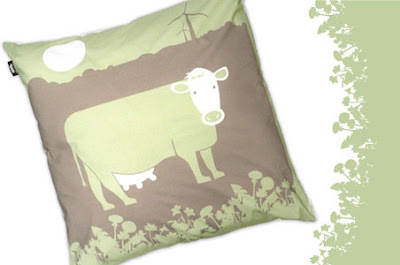 wallpaper and the matching Pat the cow floor cushion. 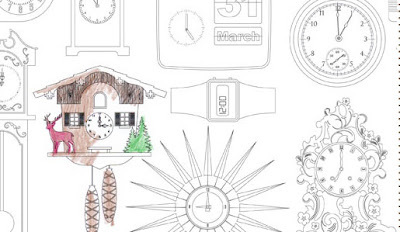 For grownups (or for people who’re not quite sure), there’s the Tick Tock Snow wallpaper, which is designed to be coloured in! But I’m sure you’d agree that no coloured pencils should be allowed anywhere near the gorgeous Sitting Comfortably? wallpaper. Love it! 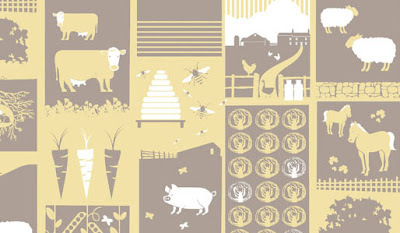 Visit Mini Moderns to check out the rest of their fab products, and to hunt down a stockist near you.